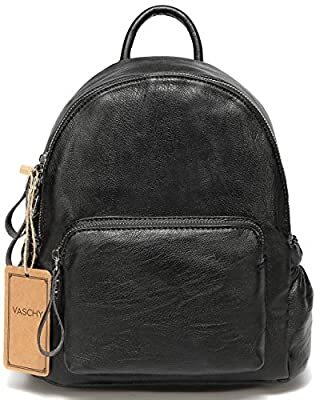 When you need to carry important items but don't want to haul around a massive purse or satchel, pack your gear into the stylish Mini Backpack from Vaschy. This fashionable faux-leather bag lets you carry your essentials while still traveling light, making it the perfect backpack option whether you're exploring a new city or hitting your favorite local spot down the street. Add shimmer and shine to your everyday look with the Backpack Purse Handbag from Vaschy. With black or silver fabric, this edgy backpack handbag is the perfect addition to your favorite casual looks. With an exterior zipper pocket and open pockets on each side, all your essentials will have a place where you can easily find them.